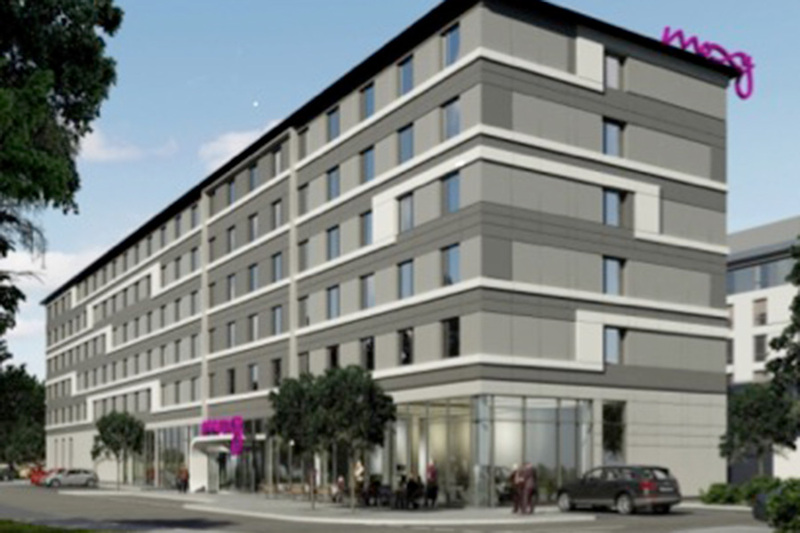 Fairhurst were appointed by Vastint Hospitality to provide a full range of engineering and planning consultancy services for a proposed 200 bedroom Moxy Hotel at ABZ Business Park, Aberdeen. The ABZ Business Park is a major commercial site with a direct road connection to the A96 at the main support. The project involved construction of the multi-storey hotel building and associated external works and at grade car-parking. Fairhurst’s input comprised normal Civil and Structural engineering services appropriate with a new build hotel redevelopment. The specialist engineering input included transportation, drainage and flood risk, and landscape design with planning consultation services. The specialist engineering input provided was required to support the planning application and planning permission was secured in March 2015. Fairhurst have continued to contribute to the design development and planning conditions process, taking the design to RIBA Stage 4. The Structural Engineering input by Fairhurst now includes the design of a cross laminated timber super structure above the first floor level.